A lot of people and businesses in 2019 have websites, blogs, and multimedia content. Unfortunately, the majority of them aren't making any money from it. Often times they are actually losing money, because they just aren't generating much or any net profits. The domain name and hosting expenses end up eclipsing any income they generate. Just because your website might already be generating consistent traffic, that doesn’t mean monetization will be a walk in the park. First and foremost, selecting the right monetization strategy isn’t as straightforward as you think, unless you have an e-commerce store. If you’re going to successfully monetize your blog posts, it’s essential that they’re polished and professional. What does ‘polished’ mean? It means ensuring that your blog posts are well written and error-free. An important part of this is ensuring that you are using the right platform, with the right support, such as Wordpress blogging because the Wordpress support is amazing. Far too often blog posts contain errors and all it takes is a quick proofread to prevent them. Treat your blog like a professional venture in 2019 and you will increase your chances of monetization. In order for your blog to be able to generate consistent income online, it’s essential that you raise your DA (domain authority). What’s a DA? A DA is something that helps rank your blog on Google search engines and impacts where it shows up in these search engines. The higher your DA the higher your blog will rank. You can check your blog’s DA online. DA is ranked out of 100 with sites like Facebook and Twitter ranking in the 90s and nearly all blogs ranging from DA 2 to 80. Search Engine Optimization (SEO) is a key part of your blog’s ability to rank in search engines, which is why you need to understand how it works if you are going to monetize your blog effectively. A common mistake that many bloggers make when it comes to SEO is keyword stuffing. This is where too many keywords are added to a blog post in the hope of making it rank higher - this is keyword stuffing and Google will penalize your blog for it. When it comes to monetizing your blog, it’s essential that you take the time to utilize social media, because social media is one of the very best tools that you can use to find paid blogging opportunities. It’s not always easy to find paid blogging opportunities, but social media sites such as Facebook and Twitter are often the best places to start. On Facebook, join blogger opportunity groups and on Twitter search blogger hashtags and you will be amazed at what you find. If you want to earn from your blog, it’s essential that you take the time to set up dedicated blog accounts for your site. From your social media channels to your email address, it’s essential that when it comes to your blogs that you set up dedicated accounts for each channel, as this will help to ensure that you seem as professional as possible. Don’t have a media pack or press kit? Create one as soon as possible using tools like Canva. A media pack shows brands your blog’s statistics and can be an amazing tool for growing your blog and increasing your success, which is why having one of these is so essential. Last but not least, it’s important that you learn how to market your blog the right way. When it comes to using social media to market your blog, it’s important that you are using these tools in the best way possible. Be consistent when it comes to your posting. Ensure that you only share relevant, shareable content. Think about what your audience wants to see from you. Your sales will skyrocket! b) Avoid shocking your audience when you do eventually place ads on your sites, affiliate links, publishing paid posts, begin merchandising, etc. c) Grow income streams naturally with your media business from an early stage. Whether you are using WordPress or any other free blog / website service, you'll be able to utilize Google AdSense Ads or WordPress ads. These ads can be displayed on your websites and get filled by Google with ads containing relevant content. You'll earn a specific small amount for users that click on your content and a much smaller amount based on the thousands of impressions (RPM) your ads receive. You can place up to 3 of these AdSense ads on each page and the same for WordPress ads as well. If you are also creating YouTube videos (which you should be) then you can become a YouTube Partner and allow ads to run before, during, and after your videos. You will usually get a higher level of income with these video ads compared with Google or WordPress ads. In addition to your website traffic and Click-Through-Rate (CTR), your earnings. While your overall earnings from these ads may be small (especially initially), the ads being served are automated which saves you a lot of time. These are also reputable networks with long track records of making dependable secure payments. You'll earn significantly more money with premium advertising networks through Mode Media, Federated Media, Sovrn, or BlogHer (to name just a few) than with just Google or WordPress ads. To qualify for these networks you'll need to have strong enough web traffic and social media accounts so it might not be an option immediately. You can always take 10 minutes and apply because eventually you'll be accepted. Because these are "premium" ads, advertisers often have to pay more for them and want higher quality websites to display them. These ads might also be more sophisticated which can earn you extra money, but can potentially slow down your website or interfere with overall user experience. To minimize this slow down there are plugins you can download with WordPress or you'll need to compensate by speeding up other portions of your website. While these ad networks are usually exclusive so they can't be combined, but they do allow serving AdSense ads as well in conjunction. It's all crucial to know that if you're using WordPress to build your site, you'll need to be self-hosted to use a premium advertising network. If you use Blogger or other free options you can usually use these premium ads without self-hosting. You can also obviously sell advertising space directly on your websites or creatively with your other media. Contact advertising prospects that could benefit from the exposure on your website or other companies that might be looking for affordable marketing solutions. 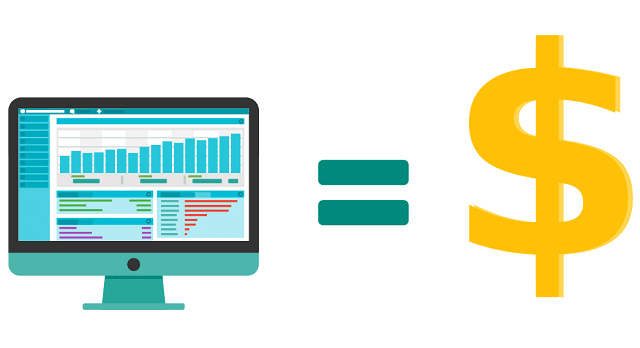 Charge customers by ad size, length of time, and your analytics to provide them with exposure. While this can be more complicated and time-consuming, it can often times provide you with greater earnings that aren't dependent (at least in the short term) on your website traffic. A true internet marketing mastermind has had success with affiliate marketing at least once in their career. When your media gets a lot of high-quality traffic and you become a trusted industry "influencer" that your followers look to for advice, affiliate marketing can be another revenue stream. Include products that you are passionate about in business or personal life and include a tagged link to purchase it in your post. Each time somebody makes a purchase directly from that unique link on your site, you'll receive a small commission of that purchase. It could be anywhere from 3-25% depending on what network and products you are selling. Amazon affiliate links (usually 3-8% commissions) are an easy option because they sell nearly every item under the sun, and it's a reputable company with an established standard payment system. I usually have a product review section on my websites with affiliate links so I can earn affiliate sales as an additional source of revenue. Getting a contract with an established publishing company is incredibly difficult, but publishing your own eBook is as simple as uploading it to Amazon Kindle Direct Publishing. You set your price and they'll show the commissions you'll earn from 35-70% of every sale. No overhead, no risk, and no downside! Some individuals with excellent writing skills can make a very significant second paycheck with eBook publishing, but it certainly takes a great deal of effort for lengthy or multiple publications. Take a look at my new eBook as a simple example. If your following is large and engaged enough with your brand then you can consider creating merchandise or related products. Many digital media producers end up selling t-shirts or other branded products. You can start simply with Spreadshirt products (printing on demand... no overhead) or VistaPrint for company-branded product designs. Very successful media producers can end up making this a very lucrative revenue stream and just another marketing tool for their brand. There are plenty of opportunities for industry influencers to attain roles as sponsored professionals or paid brand ambassadors. Seek out brands that you are passionate about and that fit in with your mission statement. You'll be compensated for reviewing products, promoting products or companies, attending company events, participating in brand chats, and several other mediums. Building an app is a great way to branch out and tap into additional revenue streams. After all, the mobile market is booming and shows to signs of cooling down. Modern users spend much more online time in apps than websites— some reports suggest that it is 90% of their total time. Therefore, without a mobile application, you could be mission out on some great traffic, revenue and mobile website monetization opportunities. Investing in development might be expensive, but you have a chance to boost engagement and delight people. So, do a thorough market research and uncover trends and user preferences. Establish a strong presence in marketplaces and app discovery platforms. Make an effort to monetize the content you publish and make available through the app. Measure ROI and user engagement to discover whether any tweaks or upgrades are necessary. As a content creator, you may also want to offer a range of services to your clients and customers. Whether you provide coaching services or consulting, freelance writing or even accounting, whatever your specialism and skills may be, you can sell them through your website to generate extra income to offset expenses. And finally, you may also want to consider launching a product too. When you do have a really engaged audience, it can be a great idea to sell products. Ideas for this could include an ebook, a course, merchandise, or even a physical product related to your niche, such as a cookbook or beauty products. Your readers are likely to want to buy most things that you launch, because they love to engage with your content, and will love will be interested in what you choose to do next. There are plenty of other monetization methods for your new digital media business but these are some tried and true options. But remember, I'm certainly not saying any of these are going to be quick and easy ways to make a significant amount of money. You'll need to be generating a significant amount of unique content and quality website traffic to start achieving real income. It won't be easy but it can pay off huge dividends if done correctly. While there’s a goldmine of learning resources out there for each of these endeavors, you shouldn’t expect to succeed with them overnight. In fact, you should be prepared to fail several times before you get things right. Sure, you may see these failures as stepping stones to success, but why seek failure when you can jump straight into the lessons? It's always best to learn them from others instead if possible. The big elephant in the room when it comes to website monetization is the number of ads you’re willing to display. We get it — more ads means more opportunities to sell, right? Too bad ads can be extremely annoying to users. Remember, as a webmaster, user experience should come before anything else. If you cram too many ads into your website, you’re not just putting off your visitors — it’ll also negatively affect your website’s loading speed. This will initiate a chain of events that will adversely affect your website’s bounce rate, search engine rankings, and ultimately traffic or sales. Google PageSpeed Insights is a free tool that can provide you with optimization suggestions for issues detected on your website. If your website heavily depends on visual content, the least you can do is to ensure they’re compressed and optimized for speed. You can reduce the latency for your foreign users by using a Content Delivery Network or CDN, which leverages multiple proxy servers that share the load of transferring web data. There are a variety of WordPress and other plugins that can be added to your website to help speed up your advertisement load time, or other aspects of your website that indirectly keep your ads loading faster. Ads don’t have to be all over the place to disrupt the experience of your web visitors. Simply slap them over something that might be useful to your target audience and voilà — their experience is ruined. That’s why you should try to avoid intrusive, interstitial ads that block the main content and other core elements of your website, especially if you care about the experience of your mobile users. Not only will you end up putting a bad taste in your audience’s mouth, these ads will also give you a one-way ticket to Google penalty land. In a nutshell, ads must never — in any way — cover content or require users to hit the “close” button just to access the information they came for. • Login Messages: For content that’s not publicly available, then a pop-up that facilitates user logins may be permitted. • Small Screen Space: Lastly, pop-up ads will not be considered intrusive if it only occupies a reasonably small amount of screen space. It’s true that display advertising is a very flexible and oftentimes reliable monetization strategy for just about any type of website. After all, it basically gives you a free pass to skip the nitty-gritty of establishing a full-fledged online business, like setting up an online store or developing your own digital product. However, ads alone are seldom enough to make all the trouble of maintaining a website worthwhile. What you need to do is put your eggs in multiple baskets and explore other methods of monetization. It may seem intimidating, but creating your own online course and attracting students is actually more doable than ever. All the tools and features you’ll ever need can be found in comprehensive platforms like Udemy. Once you’ve established your credibility as a high-quality content provider, you could be in a position to offer a “premium content section.” Just see to it that you won’t disappoint paid users by giving them something they can get elsewhere for free. Affiliate marketing works by letting you earn a commission each time a user uses your affiliate link to make a purchase. You can start by browsing for products you can sell in marketplaces like Amazon Associates. Although generating leads by building a mailing list isn’t exactly a monetization strategy, it opens up digital marketing opportunities that can maximize your revenue down the road. For one, your mailing list is a great channel to promote your new online course, eBook, or what have you. Always remember that, whatever it is you’re selling, people won’t convert into customers if they don’t trust your brand. Unfortunately, earning the online audience’s time takes time. It’s also not a task that you can juggle along with your monetization strategies. Look at it this way: if visitors who’ve never heard of your brand before arrive at your website, greeting them with a bunch of ads or anything with too much of a hard sell feel won’t make a great first impression. The example of this that stands out in my mind more than anything else was Facebook in the early stages. While Mark Zuckerberg has said he could have earned a few million bucks very early on by selling ad space and been profitable right off the bat, in the long run it could have hindered or killed his whole business. He correctly predicted that it would be wiser to hold off on advertisements to keep the "cool factor" and build up a larger community with a positive user experience. If Facebook monetized too soon then it might only be worth $500 million today instead of around $500 billion! To earn your target audience’s trust, you must first focus on traffic and lead generation campaigns, like guest blogging, basic SEO, or building an email list. You also need to publish value-packed content that will give your audience truckloads of value and ensure that your website is secure. Once you start getting signs of engagement, like post comments, social media shares, and organic brand mentions, you should start rolling out your monetization strategies. A tool like Google Analytics will come in handy in determining the right time to make your move. Website monetization may be hard, but it’s not rocket science either. With the strategies above, you should have a much firmer grasp on how it all works. When you monetize your blog and web pages right it will give you the growth that your company needs. Just remember to be patient and execute these steps one at a time in 2019. I hope you enjoyed this article about how to successfully monetize your blog, online content, and website along with mistakes to avoid in 2019 and beyond. Interested in more articles about earning additional revenue online?